Moments of Adventure: Glasgow here we come! Still buzy, buzy, Carlisle was good fun, quieter than last year but still good to catch up with a few familiar faces, we did okay but we'll see if they run the show next year? As ever, Mr West is far more timely than me so has a little write-up at Accent UK's blog here. I've been very lucky to have had a great little holiday trip (maybe some pics to follow!) 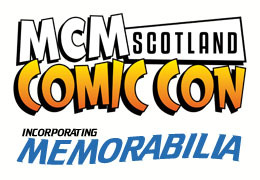 and am now zipping up to Scotland, firstly Aberdeen then this weekend we're exhibiting at the first MCM show in Scotland at the Glasgow SECC which if its anything like the recent Manchester show will be a blast! This of course follows on from my earlier 'solo' outing at Dundee earlier this year but with Dave in attendance will be the very first time that the full Accent UK team and range of books will be available North of the Border! And if that wasn't reason enough to be excited I'll also be making my very first trip to Hampden Park to watch the mighty Scotland take on Belgium in a World Cup Football qualifying match ! Okay so Scotland can't qualify but I'm still excited!